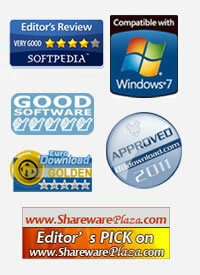 When you have a PDF file, you must have known that the files can’t be edited or reused as well. And the division into pages makes little sense for on-screen reading. Docany PDF to Text Converter for Mac, which is a utility program designed to extract text from PDF files for Mac so that it can be used in other applications. It can be used to add and convert multiple PDF files to text format at one time with only a few mouse clicks. With this easy-to-use application, you can easily edit, re-use, re-organize, present, and share your PDF files. 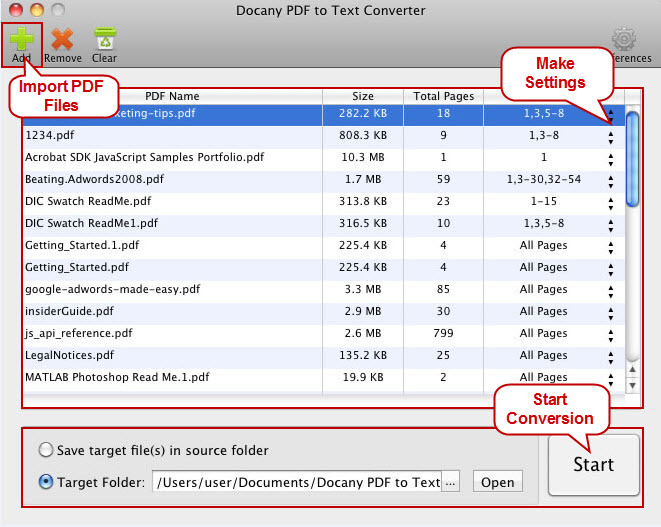 Docany PDF to Text Converter for Mac helps you convert PDF to text in just three steps. You don't need to know more about PDF format or other settings, just run the program, import PDF files, and click Start then you can get your converted text. Here are the easy steps. 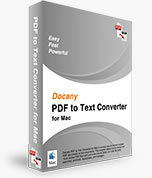 Download and install Docany PDF to Text Converter for Mac, when the installation is completed, launch the program. Click "Add" button to browse your PDF files and select the files you want to convert, or you can drag the PDF files into the panel directly. You're able to add multiple PDF files for converting to text format. After the PDF files are imported, the file information will be shown in the panel. Tips: The program will prompt you to enter the password if you are importing the PDF files that are password protected. Now you are going to convert all the entire PDF files by default. If you don't need to convert all the pages of PDF files, click up and down arrow sign next to "All Pages", then you are allowed to customize pages of PDF files you want to convert like 5, 7, 9, 13 or specify a page range like 1-10. If the page or page range you inputted that is not valid, the program will ask you to input correct pages. This application also allows you to add page break mark to the text, just click "Preferences" on the top right corner and check the “Add page-break maker to text” box. Go to "Output" column, click “Open” to specify the destination folder for the converted text files, and then click the big button "Start" to have PDF to Text conversion. After conversion, open the destination folder to get the converted text files. Tips: you can save the converted PDF file in the original folder by checking “Save target file(s) in source folder” box.